Internet phone calling has now become highly popular among people. Earlier, making an international or overseas call was particularly expensive. Now, there are a number of different software available in the market to solve the issue of spending huge sum of money on calling. KNCTR presents itself as a great solution to help you ease your pocket. You can enjoy free calls with KNCTR application. It is totally free, online calling desktop application which combines both entertainment and communication. 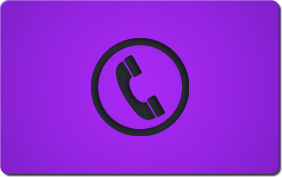 With this application, you can make free long distance or local calls directly from your desktop to any landline or mobile phone in the United States of America and Canada. In addition to offering free communication services, KNCTR application also provides videos and news updates. Many of the companies in this business charge at least some amount to make internet calls. However, KNCTR provides unlimited free calls to Canada and the United States of America, using the internet phone technology. This hi-tech desktop calling service performs very well just like Google Voice. However, KNCTR allows making calls to the people who are living in North America and Canada. Mobility is one of the important factors in today’s world. This app scores great on this front, as well. You can enjoy the benefit of free calling while travelling also. You can remain connected to your friends and business people by installing KNCTR application on your mobile or laptop for free. You can access this free application after downloading whenever and wherever you go. KNCTR is well-known for making free VoIP calls in North America. It offers an exciting menu that provides value for the call service. To access the extraordinary services, the customers need to download the software which takes only a few minutes. When you get connected to the application and activate it, then you are provided with a number which can be used for making free calls. After you get this number, you can start calling. It opens full screen on the PC when computer is turned on. The users can access to the premium services and free calling characteristic. It saves you a lot of money as calling in America from other areas of the world is very expensive. You are also able to make KNCTR to KNCTR call as long as you are connected to the internet. KNCTR is an amazing source of entertainment. You can enjoy communicating with this application. Many internet search tools, such as MSN, bing search, and features like Facebook, Twitter are provided to add fun to your experience. Through this software, business persons can also update their clients and customers about the new offers and products. The KNCTR social media allows its customers to remain connected to their social networks, such as Facebook and Twitter. They can also receive news updates from the RSS feeds. The customers do not require toggling between the sites on the PC. The application allows users to combine the voice and social media services in one place on their PC. It also offers a vast video forum that shows selected video and movie trailers. Daily video content is an excellent service created in the video application. It updates its users on the celebrity news, movies and sports on one screen only. This application has raised the user’s level of experience by offering a wide range of fresh and new daily content regarding news of the celebrities, news and information, trailers of the movies, reviews on technology and automobile. The users of KNCTR have a positive view to this new application which has great functions and an elaborated communication and social entertainment and media platform. The company provides a smooth connection to its users. The KNCTR is proving to be a leading company in the competition by offering many benefits and services to its customers. According to the reviews, it provides an enormously powerful and unparalleled application. It is not just only for making free calls but also provides entertainment services. Innovative and creative ideas are always in demand. These can be a make or break deal for companies to be competitive. Those who are aware of this fact always make a sincere effort to introduce exceptionally good products which can help them remain competitive and attain new heights. KNCTR is one of those products. The main idea of the KNCTR is to stay connected absolutely free with everyone. So, get this free application and enjoy free calls with the KNCTR application as communication has become an essential part of our life now.